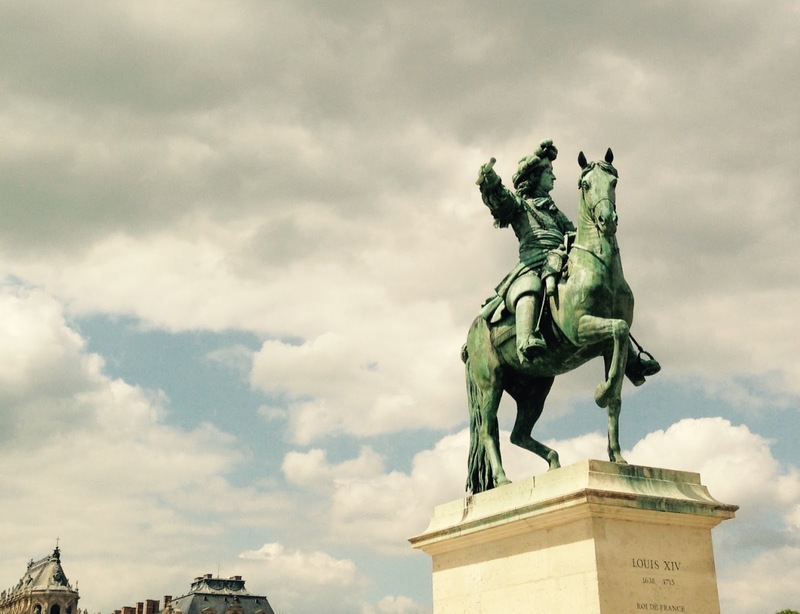 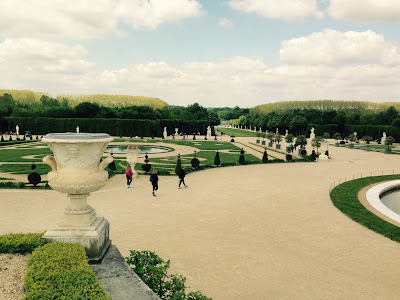 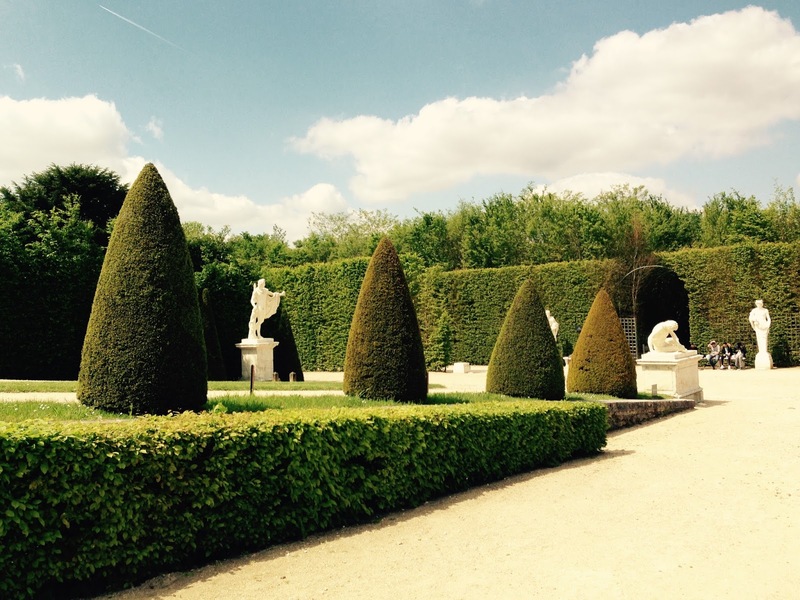 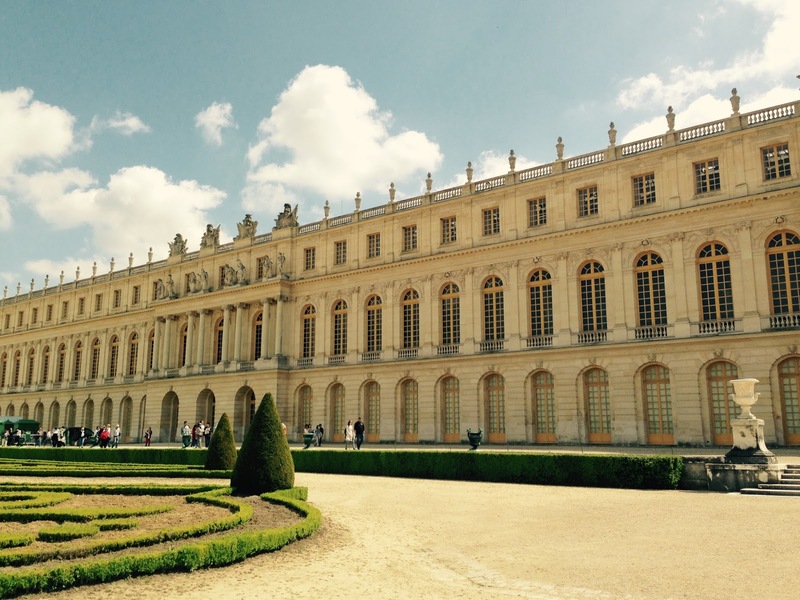 In the middle of a cool thunderstormy week, the clouds broke and the sun shone down on Versailles. 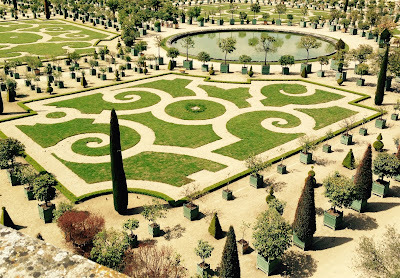 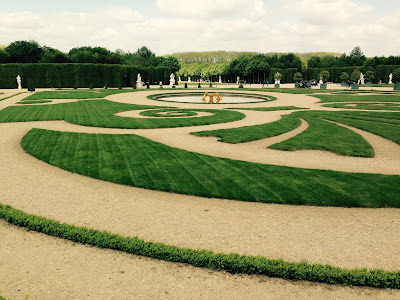 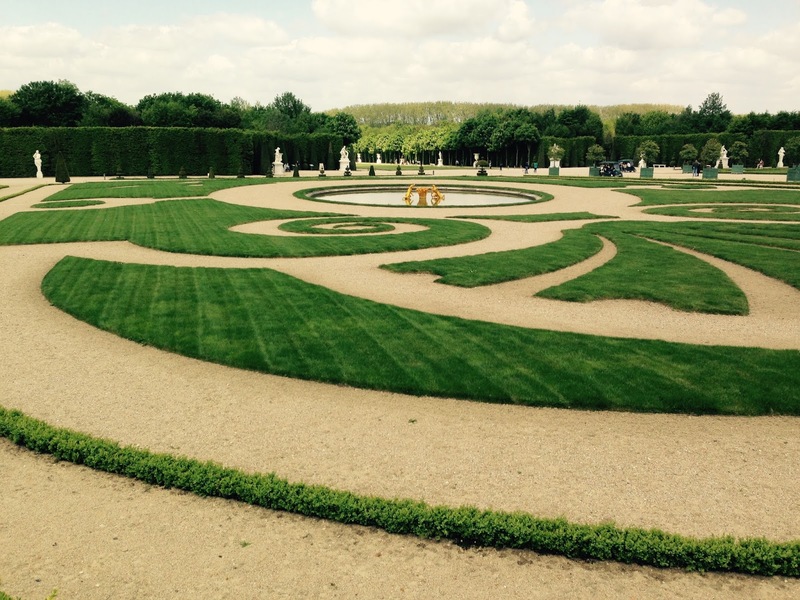 The French invented the Parterre and they perfected it. Many others have adopted it, but for me Versailles is the pinnacle. 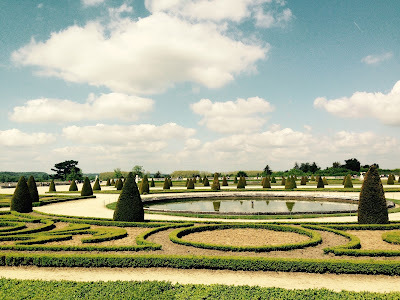 Sections were being planted for their summer display. 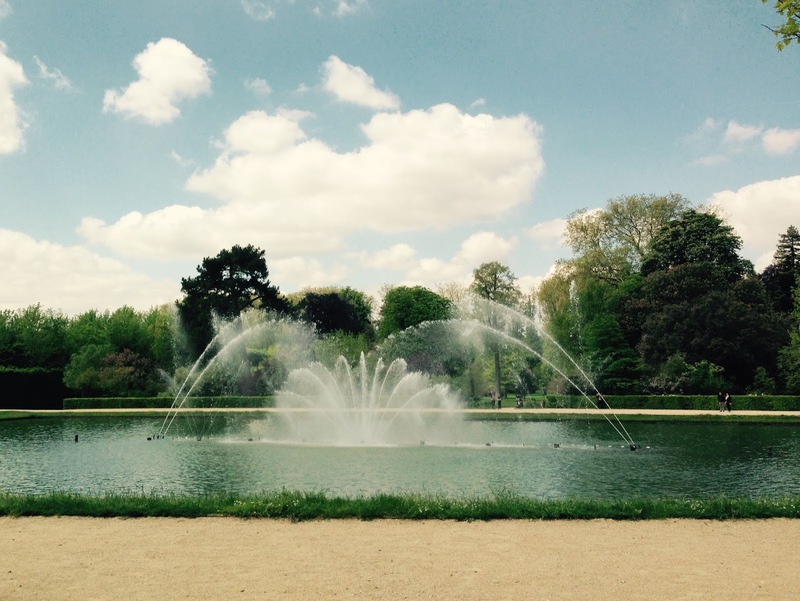 The fountains, which as I recall from decades ago would 'play' only on the second Sunday a month in the summer months, now play on Tuesdays and Sundays. 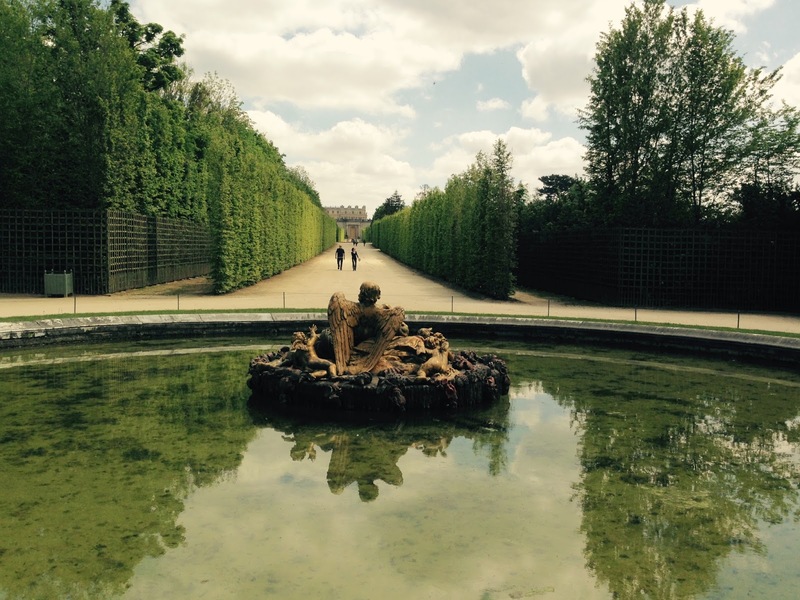 Well, one did - the Bassin du Miroir (the Mirror Fountain) to the booming of Berlioz from base heavy speakers hidden in the bushes.